DALBY and its 50 years of experience in hydraulic hooklifts will be present at the IAA commercial vehicle trade show in Hannover on 20-27 September 2018. Dubai, UAE, July 08, 2018: DALBY designs, builds and markets hydraulic hooklifts for all types of 2- to 32-ton vehicle, along with roll-off containers, and container trailers for road transport and agriculture. With its complementary offering, DALBY is a major player and a clear leader in the roll-off transport and handling equipment market in France. Through its vast distribution and services network, DALBY offers its customers a comprehensive range of equipment for roll-off containers, designed to ensure efficiency, simplicity, reliability and cost effectiveness, and assembled in its French manufacturing plants and workshops. Another of DALBY's assets, particularly important in regions such as the Near and Middle East, are that its hooklift controls are all pneumatic. There are no electric sensors to be subjected to weather and terrain conditions. Our system is unaffected by dust and sand deposits and does not need any kind of special cleaning. As our pneumatic sensors are integrated, they do not get broken in the event of collisions. This system is also practical and easy during repairs and offers a minimum operation mode which means that the container can always be offloaded. Our customers are players in the environmental, agricultural, transport, building, rental, and trades sectors, as well as public authorities and services. 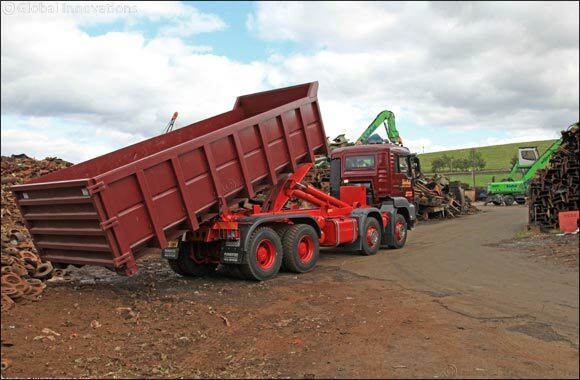 The environmental sector, and more specifically waste collection and transfer, is constantly changing to meet new or amended environmental standards. DALBY assists providers in these markets, helping them deliver suitable logistics solutions and facilitating the handling and transport of recyclable and non-recyclable products. For two years now, DALBY has worked with an international network of 15 distributors and a sales office in Peru dedicated to South American markets Recent achievements with sales in Africa for cotton farming and waste management activities and the signing of a distribution agreement in Canada, have helped establish DALBY’s credibility and international recognition. Dalby is searching for partners in Middle East area in order to expand its export services.